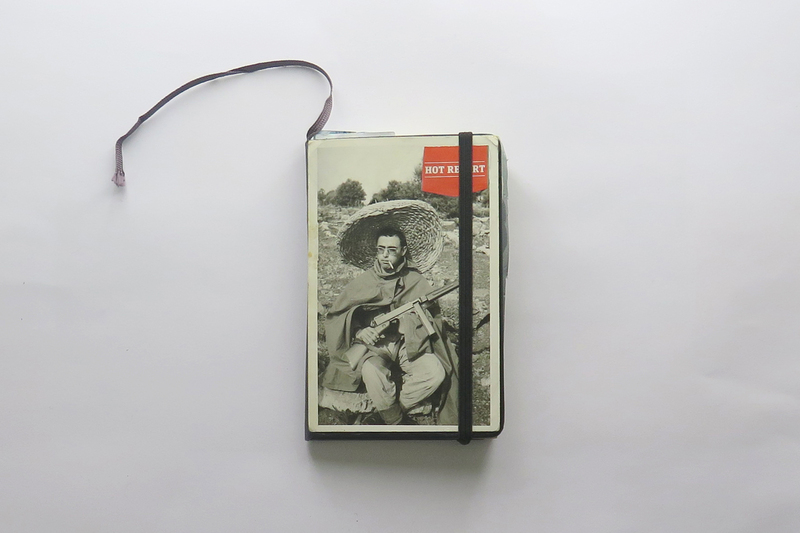 “I have been using the notebook pages as display for a collection of a variety of paper ephemera found in the city of Athens, antique and amateur photographs, old postcards and magazine cut outs, metro tickets and a map of the city, personal notes and drawings. following this process the notebook recreates a visual journey. A napkin from a bar in Monastiraki as introductory letter is addressed to my parents explaining my being caught by the heat, my thoughts and movements towards an abandon of the reason in order to face an adventure into the unknown: an exceptional state of mind,a primitive dance, an eschatological induced madness. Somehow the material shaped a thread around the character of Athena, and some checkpoints become visible: an infancy, a moment of ecstasy, a clinical operation, the capture, a general strike. He recently graduated in a master in visual arts at IUAV University of Venice specializing in critical studies and curatorial practices. His main interest lies in Photography and theory of images and with his master thesis tried to investigate from a phenomenological perspective the interrelation between the constitution of an identity and the sensory experience of system of images. In 2013 he worked along the team behind the curatorial project and institution Kunsthalle Lissabon, in Lisbon. In 2014 lived in Istanbul to study at Bilgi University, his recent project based on the exploration of an artist archive through a darkroom practice is called Kamera Istanbul. His current research address cultural identity and collective memory, through interactionist and situationist practices to build narratives and political engagement in contemporary cityscapes. 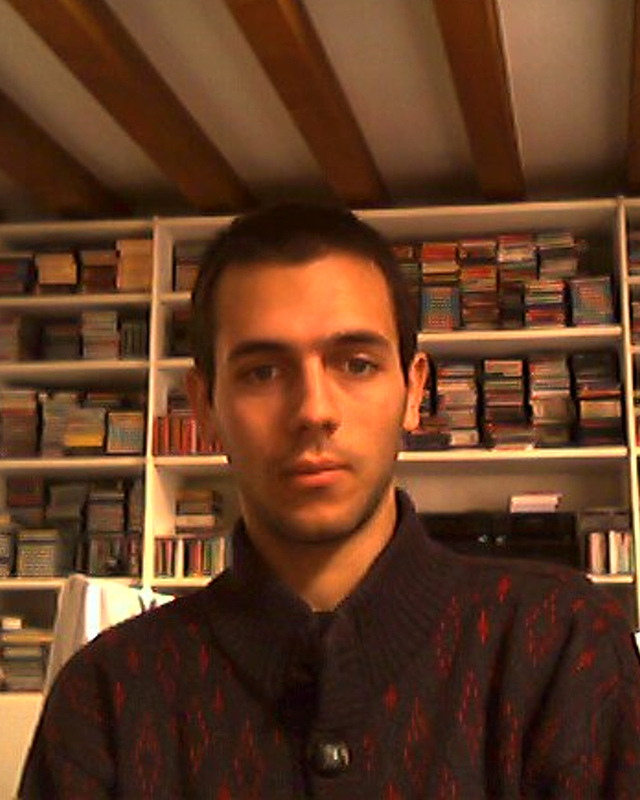 He is currently living in Amsterdam where is further elaborating on the theorethical framework of his Phd proposal.